Most women pay great attention when it comes to the size of the waist because its the region that gives the whole body a unique and natural beauty. As a result, a lot of women invest a lot to acquire such a shape. Apparently, the number of women with enlarged waists are far much more than expected. In the UK and US, over 57% of women have very large waists that exceeds their healthy size. This has further resulted in obesity since their body mass index is far much more than their healthy range. 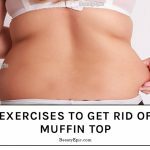 However, this can be reduced if the following 6 best waist slimming exercises can be incorporated in your daily lifestyle. Sit upright with the legs joined together. Let your hands hang freely alongside the body and relax the elbows. Inhale deeply and engage the core in rotating the upper body. Start by twisting slowly towards the left to the maximum point you can before shifting to the other side. How it Benefits: It tones the abdominal muscles by stretching them. Sit on a level ground and bend the knees ensuring the feet are resting on the chin. Place the hands in a prayer posture and begin moving the torso towards the right and then moving it to the left. Keep the back straight and slightly leaned backwards. Do this for several times. • It builds the upper body’s strength. Set the body in a plank position while leaning on your right side. Tightly press the right arm palm on the ground and lay the left foot directly above the right foot. Straighten the left arm upwards and move the hips slightly upwards using the internal oblige muscles. Rest while at this position before changing on to the left side. Increases the general body stamina. 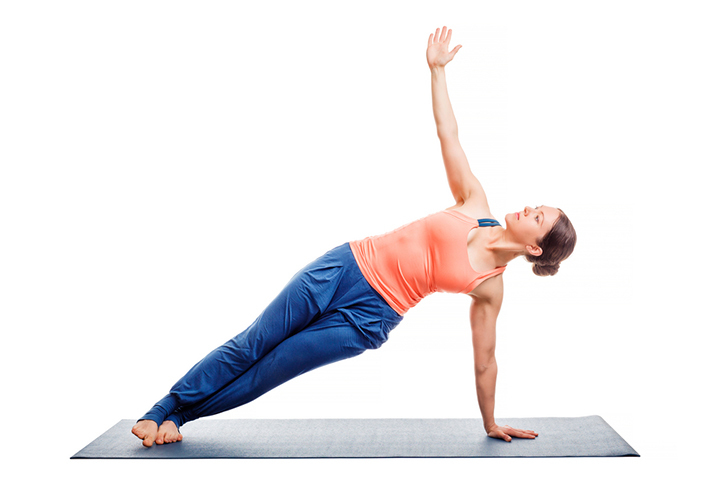 Get to a plank position starting on the right, with the palms placed flat to the ground. Elongate the arms vertically upwards and lift the left leg slightly upwards to about 60� and rest at this position. Turn to the left and repeat the same procedure. How it Benefits: It increases the flexibility of the abdomen through the contractions of the waist. Set the body in a traditional plank ensuring the shoulders are aligned with the palms and the feet supported by the tiptoes. 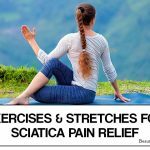 Begin by bending the left knee and moving it towards the right arm. Move it back and forth severally then change to the right knee. How it benefits: It mainly cuts fats around the abdomen while toning the abs. Lie on a soft, level surface with the knees positioned around the chest region and the hands on the heads’ back. Lift the head off the surface and straighten the left leg. Slightly begin moving the upper body towards the straightened leg and then maintain that posture for a while. How it Benefits: It flattens the belly, Stretches the back and spine. 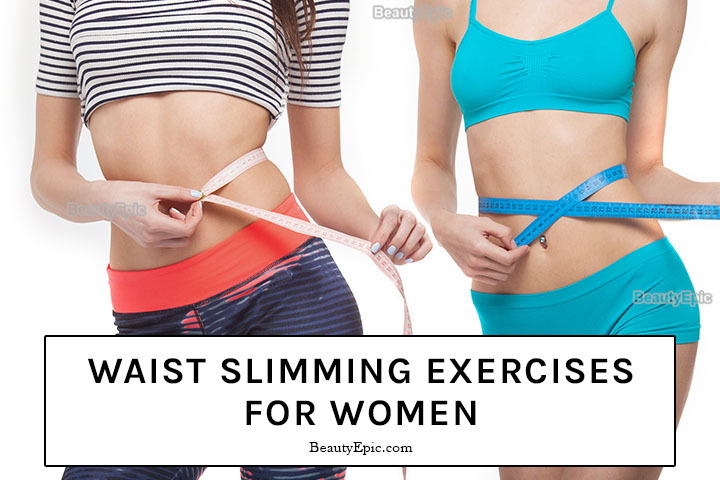 It’s your obligation to at least take some time in doing these exercises since they are very effective in slimming the waist and giving your body a charming look. Most women pay great attention when it comes to the size of the waist because its the region that gives the whole body a unique and natural beauty.